Ellen Stofan, NASA’s chief scientist, has left the space agency for what she describes as other “adventures.” Stofan is believed to have left her post before Christmas last month. Her expertise was focused on the geology of Venus, Mars, Saturn’s moon Titan, and Earth. Stofan was an associate member of the Cassini Mission to Saturn Radar Team and was a co-investigator on the Mars Express Mission’s MARSIS sounder. She also was principal investigator on the Titan Mare Explorer, a proposed mission to send a floating lander to a sea on Titan. 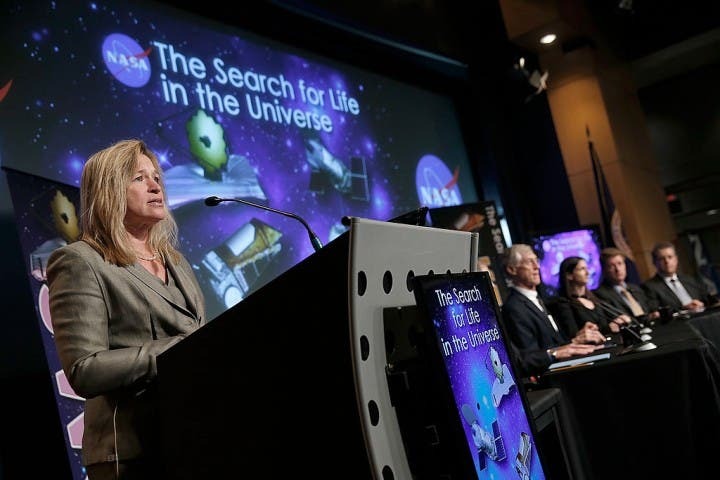 Stofan revealed that the most exciting endeavor that the space agency is on right now is the search for extraterrestrial life, which she expands on in the video below. She played a major role in the development of NASA’s strategy for human Mars exploration. Institutionally, she said one of the achievements she was most proud of as chief scientist was getting the agency to voluntarily request demographic information in grant proposals submitted by scientists. That information, she said, is important to understanding any biases in how the agency awards those grants. It appears that Ellen Stofan left her post around Dec. 20. NASA confirmed her resignation in an interview posted on Tumblr. In the interview, Stofan was asked what she will miss the most about working with the space agency replied that she will miss the people who continue to push back the frontiers of science and technology in order to achieve great things for the USA. The space agency confirmed that Stofan was “departing for new adventures.” She was appointed as NASA’s chief scientist in Aug. 2013.There was no reason given for her resignation. There was also no indication on who will take over Stofan’s place. Space.com noted that one of her greatest achievements was in getting NASA to voluntarily request demographic information from scientists who submit grant proposals. She believes that the information can be used to identify and understand any biases in how the grants are awarded.